[www.inewsguyana.com] – An accident on the No.27 Public Road West Coast Berbice involving three motor cars and a motorcycle left approximately six persons injured. The accident occurred around 20:00 hrs and according to information received, the motorcycle was heading East when it slammed head on with motor car PMM 4719 which was heading to West Berbice. Subsequently, this resulted in the said vehicle to swerve into the next lane and colliding with another car – PMM 8207 along with a wagon. The female driver of PMM 8207 was only identified as ‘Mariska’ of Suriname along with five (5) others sustained minor injuries and were taken to the Fort Wellington Hospital. In the Wagon was a family inclusive of the driver, his wife, two children and his in-laws. Fortunately, they were not seriously injured but sustained a few cuts and bruises. However, the rider of the motorcycle rider lost his right hand, while the pillion rider broke him limbs as the bike crashed in Motor car PMM 4719. 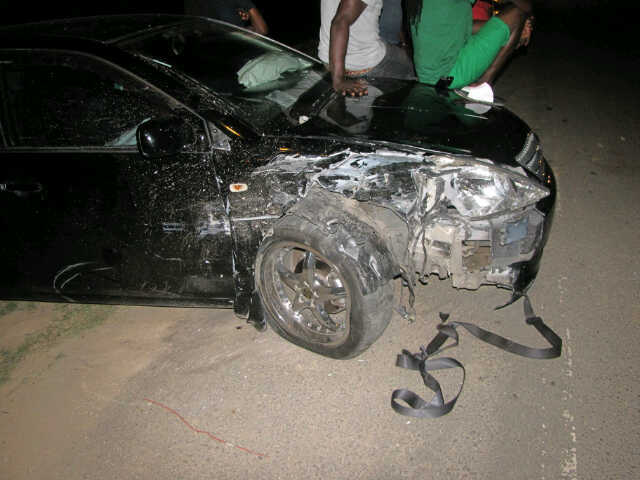 Both riders along with the driver of this vehicle were rushed to the Georgetown Public Hospital. 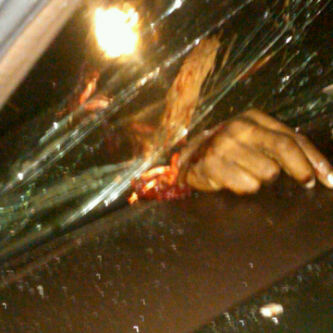 The arm., which was lost by the motorcyclist. 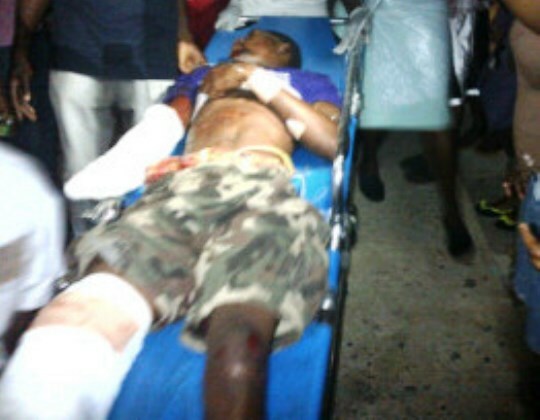 One of the injured men. The motorcycle is badly damaged and is presently in the compound of the Fort Wellington Police Station. Eyewitnesses reported that the motorcycle was speeding at the time of the accident.